There is no single path to startup success. If such a yellow brick road existed, laid bright and obvious to entrepreneurs of all stripes, thriving in this competitive market would become as simple as stepping into a pair of ruby slippers. 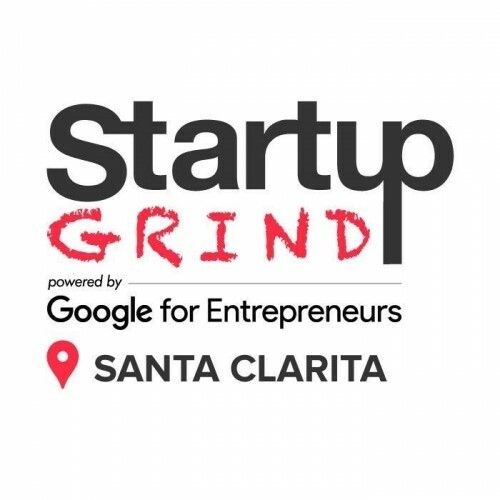 The best that entrepreneurs can hope for in 2017 is to learn what they can from those who've come before in a community that supports, inspires and connects, like the Santa Clarita Startup Grind, which launched in September. 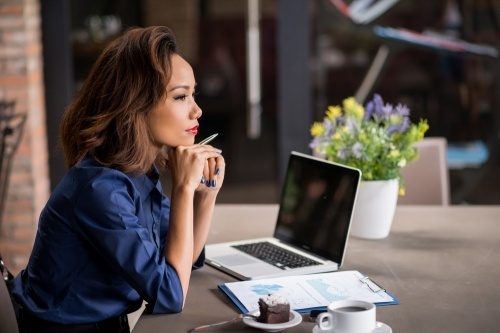 Starting a new business can be overwhelming - there are so many decisions to make, and one of the most important is deciding where to plant your tech startup. A year ago, the San Fernando Valley Business Journal ran an article about the Santa Clarita Valley’s (SCV) burgeoning high-tech community, dubbing us the “Silicon Suburb." In the months since then, we’ve seen a rapid increase in both startup companies and the local resources available to support them on the road to success. Geographic concentrations of interconnected businesses, suppliers, service providers and associated institutions in a particular industry are often referred to as an industry cluster. According to a study by Harvard University, when companies from the same industry are clustered together within an environment, it results in higher employment growth as well as higher wage growth. Additionally, the presence of strong clusters creates growth in other, unrelated industries, as well as the emergence of new industries. Strong industry clusters are an engine of economic growth in the region. How has 2017 gone by so fast? Can you believe the first day of Fall is just around the corner? As we wrap up the summer here in Santa Clarita, check out some of these great events occurring in September – there’s sure to be something that appeals! New Development in the Santa Clarita Valley makes the news again as Trammell Crow Company (TCC) and Clarion Partners announce the acquisition of 54 acres of land for the development of The Center at Needham Ranch, a state-of-the-art business park in the City of Santa Clarita, CA. This project is the first phase of a larger 132-acre, fully entitled site approved for up to 4.2 million square feet of Class A industrial space. Phase 1 is scheduled to break ground in August 2017 and expected to begin deliveries during the Q3 2018. As kids head back to school, it’s important to keep in mind the graduates of more advanced schooling, whether it’s technical or vocational training, or a two or four-year college program. With today’s hottest industries requiring a trained and educated workforce, the Santa Clarita Valley delivers on so many fronts. There are over 50 two and four year schools, both private and public, located within 30 miles of Santa Clarita, and if you’re willing to expand your search to 50 miles, that number jumps to 97! And those schools include some of the nation’s top talent-building schools. Five California Business Incentives You Need to Know Now! California has so much to offer – from the beach to the mountains, deserts to farm fields, and a vast array of industries, there’s something for everyone to love. And in the area of business incentives, there are so many opportunities to take advantage of – here are just a few to explore! J.E.M. F/X, a member of Santa Clarita’s strong and rapidly growing Digital Media and Entertainment Cluster, is expanding to a new 26K SF facility. This innovative technology firm creates highly sophisticated special effects and pyrotechnics, utilizing AutoCAD and 3D rendering software. Nasmyth Group, a world leader and global supplier of precision engineering solutions in the aerospace industry based in the United Kingdom, announced the opening of a new facility in the Santa Clarita Valley (SCV). The SCV is home to the Aerospace and Defense Coalition, which is approximately 80 companies strong. This new facility will significantly expand their footprint and ability to deliver metal surface treatments to aerospace and defense clients in SCV and the United States. Did you know about the California Competes Tax Credit? It’s an income tax credit available to businesses who want to come to, stay in, or grow in California. Through a two-phase process, businesses apply and compete for this credit during three application periods each year. It’s just one of the many business services the Santa Clarita Valley Economic Development Corporation (SCVEDC) supports in the Santa Clarita Valley, another great reason to explore relocating to the SCV. SCV is a HOT location for business! So far, 2017 has been a hot year for business in the Santa Clarita Valley (SCV)! The construction and completion of new industrial and commercial spaces such as IAC Commerce Center and Gateway V have provided relief to a very tight industrial real estate market, and word is getting out about the SCV’s business-friendly climate. 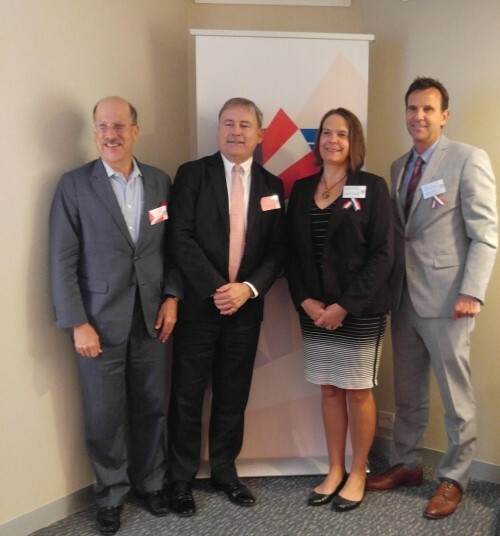 On June 15th, The World Trade Center LA (WTCLA) hosted 350 attendees to the third annual Select LA Investment Summit. The event is focused on attracting Foreign Direct Investment (FDI) to the region – delivering job creation and economic opportunity to the Los Angeles area. Select LA Investment Summit showcased growing industries in Los Angeles (LA) County, including bioscience, aerospace, digital media and entertainment, tech, real estate and advanced transportation, to help inform investor choices regarding projects and investment opportunities. SCVEDC knows that finding skilled workers is one of the toughest challenges facing businesses in today’s tight labor market. That’s why training and apprenticeship programs are so important. Companies are growing their own talent, but are tapping into resources such as community colleges and the workforce development boards that are part of the public workforce system. In the past year, new apprenticeship programs for the aerospace and logistics industries are helping employees advance their skills quickly. 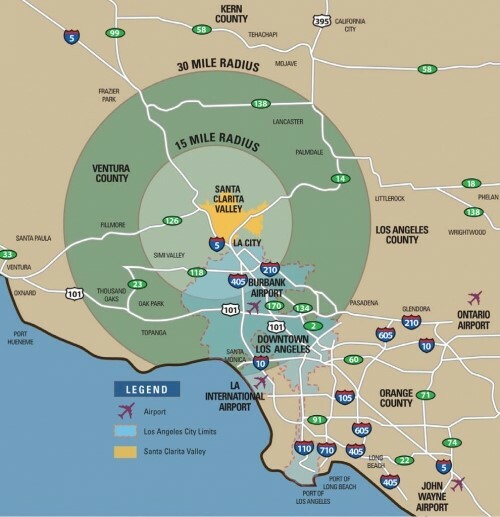 One of the key industry clusters in the Santa Clarita Valley is Advanced Manufacturing, with businesses involved in the production of high-value added, technical, or capital-intensive goods requiring advanced inputs and manufacturing processes choosing the SCV. Airbolt Industries Inc. is one of the businesses who have relocated to the SCV – and this is their story. 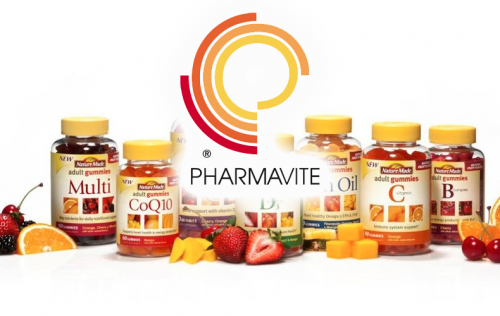 Pharmavite LLC, the leading manufacturer of dietary supplements for more than 45 years, has renewed its commitment to the Santa Clarita Valley by entering into two new leases! To support the operations of its growing Nature Made® brand of vitamins and mineral supplements, the company has signed a new long-term lease for a 229,000 square feet distribution and warehouse facility in the Valencia Commerce Center. It also deepened its roots in the Santa Clarita Valley by renewing the lease for its existing packaging facility located on Witherspoon Pkwy. Both leases run through 2030. Conservative estimates suggest that upwards of 8,000 people commute from the Antelope Valley (AV) to the Santa Clarita Valley each day, whether for work or to attend College of the Canyons. However, there is no direct bus line that services these individuals to their workplace. 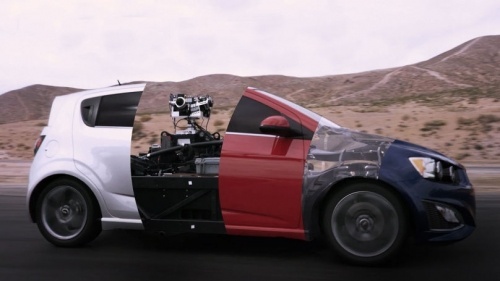 In a recent survey conducted by the Santa Clarita Valley Economic Development Corporation (SCVEDC), 55% of these commuters are making the drive alone, which is both costly and adds to traffic congestion. Adding to the vast range of business services already provided by the Santa Clarita Valley Economic Development Corporation (SCVEDC) are our efforts to establish the Santa Clarita Valley (SCV) as a thriving and expanding technology innovation hub. “We are in a golden era in the economy,” and economic growth should continue for at least the next year. That was one of the key points economist Mark Schniepp made to about 300 attendees of the 2017 Economic Outlook Conference at the Hyatt Regency Valencia on Thursday. The annual conference is held by the Santa Clarita Valley Economic Development Corp. and College of the Canyons. Recruiting great talent gets more challenging every day. As noted recently by Bisnow, “Today’s young talent is much more concerned with a city’s lifestyle offerings than its job market. This shift in priorities has forced companies to follow the talent, investing millions in office development and expansion in the country’s leading and secondary markets — a trend that is growing in prevalence as the labor market tightens and young talent becomes more scarce. The California Association for Local Economic Development (CALED), a state-wide, California professional economic development organization, announced the winners of their CALED Awards at their annual conference on March 22nd. The Santa Clarita Valley Economic Development Corporation (SCVEDC) is pleased to win an award of merit for our Business Assistance Visitation Program for 2016-2017, following an Award of Merit for our 40 for 40 incentive program for the 2015-2016 year. Santa Clarita Valley professionals gathered at the Valley Industry Association lunch Tuesday to hear a keynote address from SCV Economic Development Corporation’s (EDC) President and CEO Holly Schroeder.